Lahore : Punjab Chief Minister Muhammad Shahbaz Sharif telephoned new British Prime Minister Mrs. Theresa May today and congratulated her on assuming the office of Prime Minister of United Kingdom. He also expressed good wishes for the new British Prime Minister. 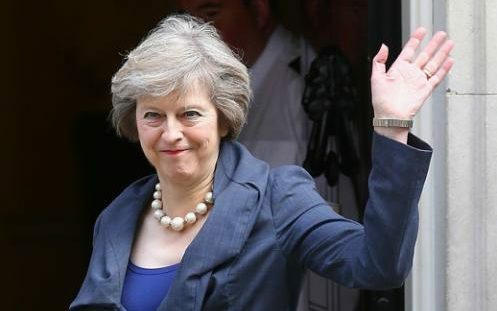 The Chief Minister said that unopposed election of Mrs. Theresa May as leader of the Conservative Party demonstrates the strong confidence of her party in her leadership. Shahbaz Sharif expressed the hope that under the leadership and vision of Mrs. Theresa May, Britain will become ever stronger and continue playing an increasingly important role in global affairs. Recalling his visit to UK in December 2015, Shahbaz Sharif said that he had a most productive meeting with her. He said that government and people of Pakistan greatly value Mrs. Theresa May’s long association with Pakistan. He said that UK is a close friend and trusted partner of Pakistan and the bilateral relations between the two countries are based on sound footing and rooted in shared history and strong linkages. The Chief Minister said Punjab government is working closely with UK in the fields of education, health and counter-terrorism and he is confident that this cooperation will further expand under the leadership of new British Prime Minister. He also expressed the hope that under the stewardship of Mrs. Theresa May, the ties between UK and Pakistan will continue to advance and grow stronger to the mutual advantage of both the countries. Shahbaz Sharif also invited the new British Prime Minister on behalf of Prime Minister Muhammad Nawaz Sharif and on his own behalf to visit Pakistan.